Welcome to arguably “one of best baseball learning sites,” available on the internet. The Sole Intent of this website is to offer Coaches, Players and Parents a One Source location, where they can research in-depth information on how to play and teach the game of baseball. It’s just that simple. This website is the product of decades of playing, coaching and teaching the game of baseball. From Little League to Minor League Baseball, I have drawn upon the experiences of 1000’s of games played and hundreds of players who were teammates. You will not find a dazzling, professionally developed website with all the bells and whistles. One, I’m on the verge of being nearly computer illiterate and not capable of creating such a site. Two, I really couldn’t afford the 1000’s of dollars it cost to have a professional web designer develop a site. Third, and what I believe to be the most important, my sole intent is to “Pass Forward” information which was graciously taught me by the many coaches who took the time to teach a young ballplayer as I progressed through the ranks of the baseball system. Baseball coaches of today have an uphill battle competing with all the interferences our fast paced lifestyles present. Rarely do we consider the obstacles presented by advance technology beyond the Xbox, Laptop or whatever. Today’s youth are growing up in the “Information Age” and are quickly bored when not challenged to expand their skills. 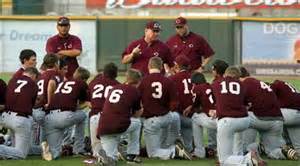 A baseball coach limited in his knowledge required to challenge and advance their players skill levels will not succeed. Sorry, but it is a fact. That’s why this website. Some of the information will be quite elementary, some very advanced, some general, some position specific, some if not most of the information will be seen more than once. Starting to sound familiar? Isn’t that the way we learn? Start with basic building blocks and through repetition, build and advance our knowledge. It is time for me to shut up as You didn’t come to this site to listen to me ramble. Thanks for visiting the site and I’m confident you will take away a wealth of knowledge … that’s the intent.